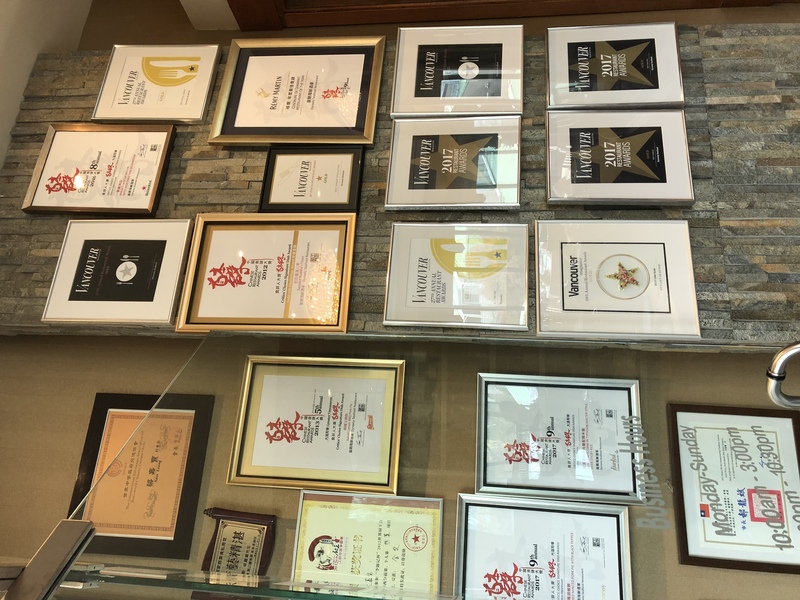 Having won the “Best Chinese” of Vancouver Magazine Restaurant Awards twice in a row (2017-2018), Dynasty Seafood Restaurant claims to be the best option for dim sum and Cantonese seafood dishes outside of Richmond. I was surprised that Richard (Vancouver Foodster) had not been to this place yet. 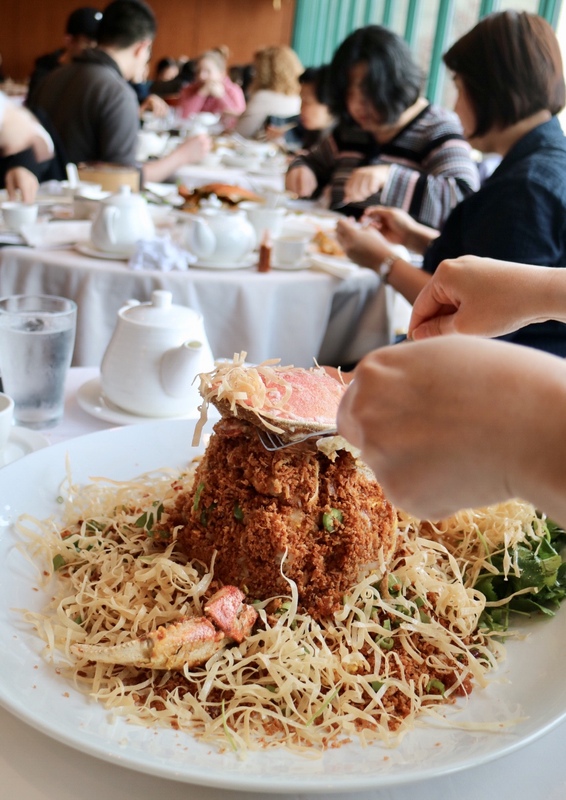 He was fascinated by a few colourful dim sum dishes and this spicy garlic Dungeness crab tower stacking dish sizzling hot on Instagram. My last dim sum visit to Dynasty was 4 years ago. 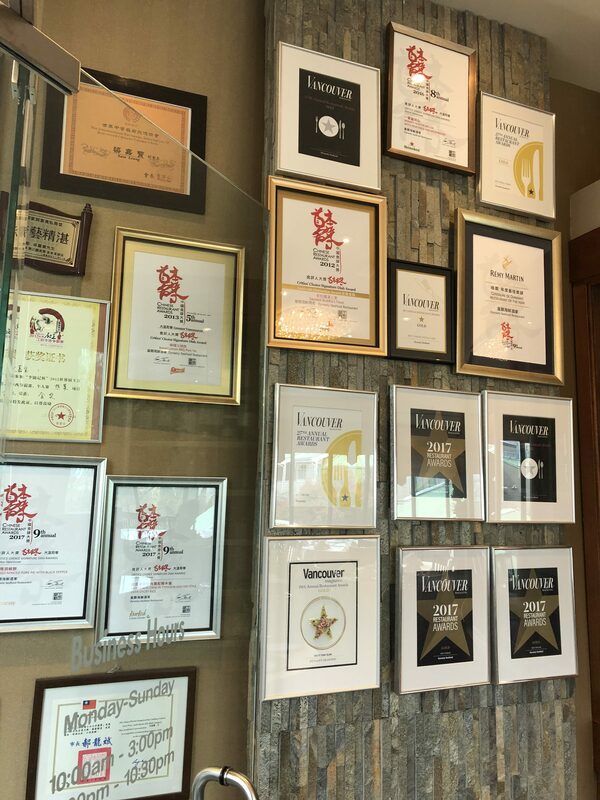 Although the meal was decent, I was not super crazy about the food mainly because I had been spoiled by the high-quality dim sum in Richmond. 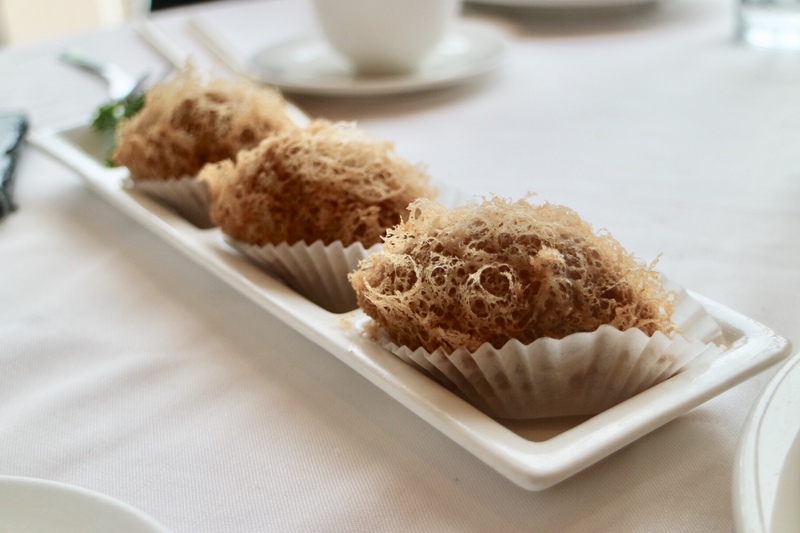 This time around, we definitely found some of the most elevated dim sum dishes in the city. The Beet Dumplings might have a confusing name but they were delicious. There is no beet in the filling, and it was just the dumpling skin dyed with beet juice, making the dumpling visually stunning in vibrant red colour. 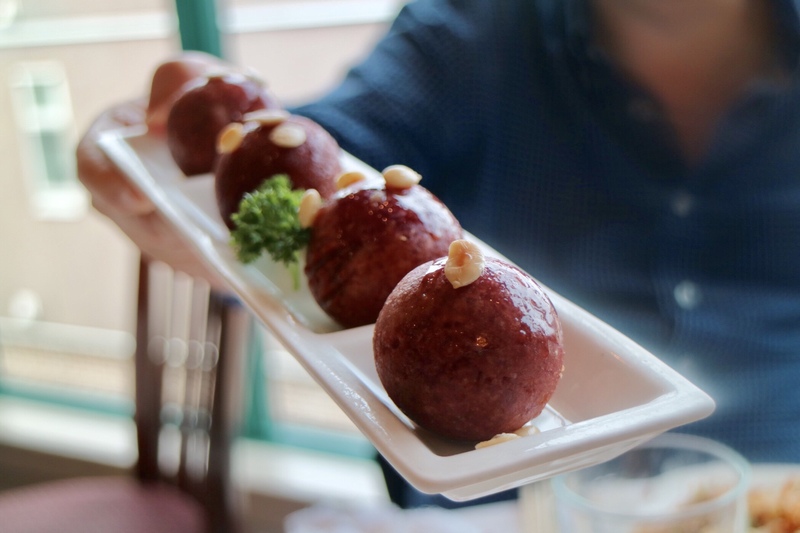 The dumpling itself is inspired by the Chiuchow style dumpling which is filled with jicama, pork, and cilantro, with a hint of Chinese 5 spices, slightly crunchy and super refreshing. The Scallop Dumplings might be a common dim sum, but the version here is done differently. They have incorporated squid ink in the dumpling skin. 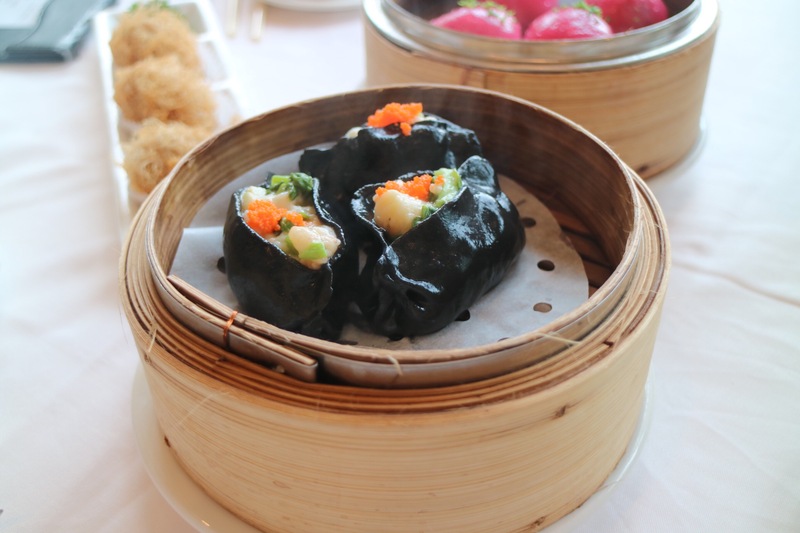 The black dumpling skin has sleek look and has an elegant sweet seafood flavour. A pleasure treat to all my senses. Visually there are no colourful gimmicks on the Deep Fried Taro Dumplings, but they were super fluffy and tasted more delicate than the usual ones. They brought us another colourful dish, the Purple Yam Sweet Dumplings, made with glutinous rice flour, and purple yam with a subtle sweetness in both the skin and the filling, absolutely incredible. And here came the star dish, the Spicy Garlic Dungeness Crab. 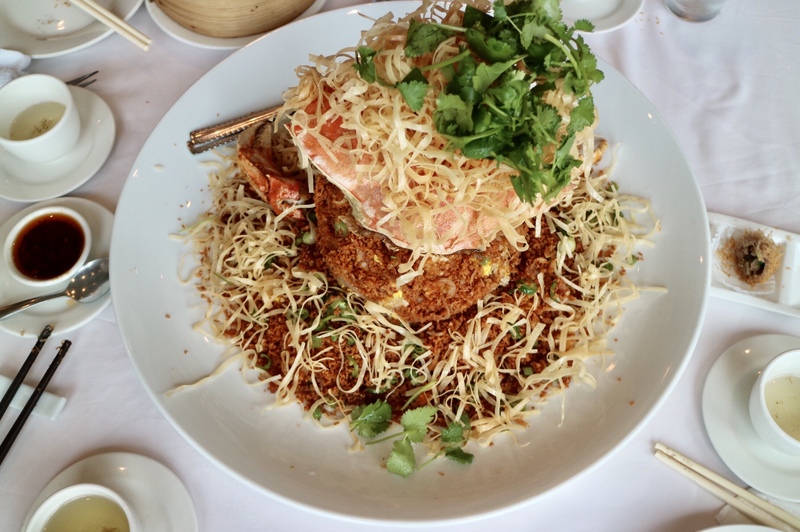 It was a tower of sticky rice, crab legs, crab body and crispy noodles stacked on each other. The crab was also covered in spicy crab crumbs that contributed the main flavour of the dish. 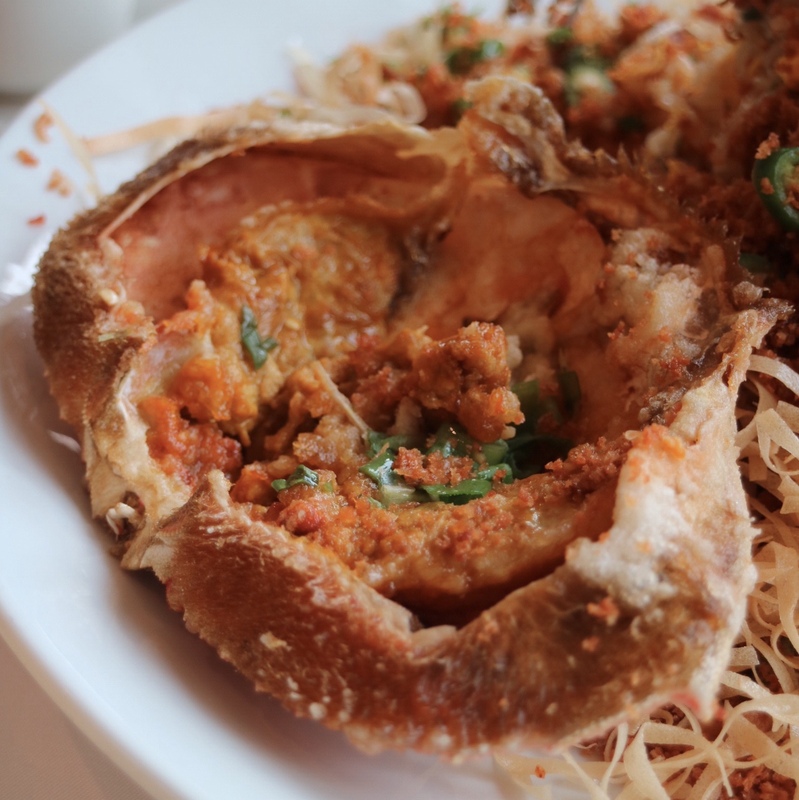 The dish is inspired by a famous Hong Kong dish, the Typhoon Shelter Spicy Crab, which could be found at the typhoon shelters of Aberdeen, Lei Yue Mun, and particularly Causeway Bay and served on fishing boats. The crab was huge, almost 3 pounds. The execution could be a little tricky for such a big crab. I thought the crab could be cooked a little longer. 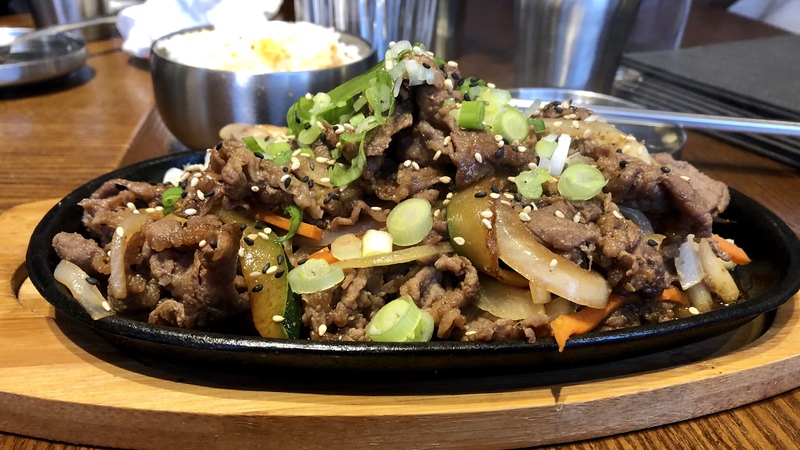 And the spicy part was on point, but it could definitely use more salt, to complete that balance of sweet, savoury and spicy tastes. The original recipe in Hong Kong uses black beans, which were missing here in this version. But overall, this dish is the one that you want to order to impress your guests who are visiting the Westcoast. The trio of colourful treats was a dim sum triumph. 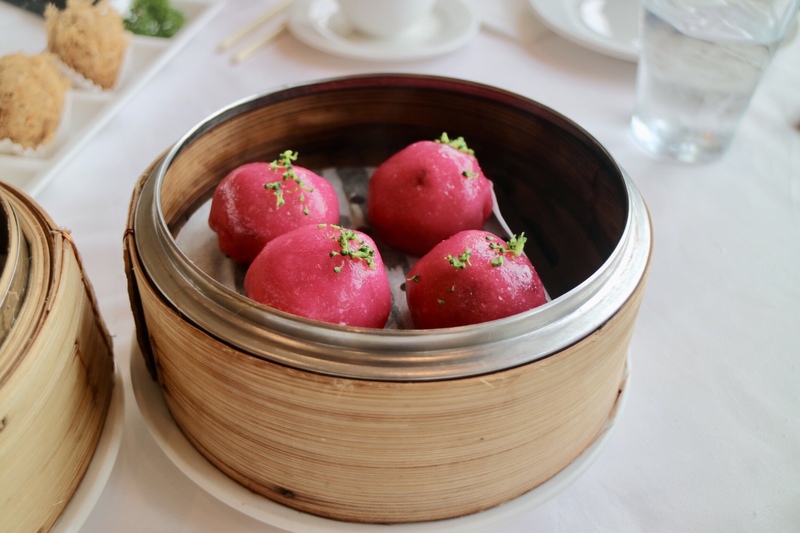 If you can only get 3 dim sum dishes here, you must get those 3: the Beet Dumplings, the Scallop Dumplings, and the Sweet Purple Yam Dumplings. 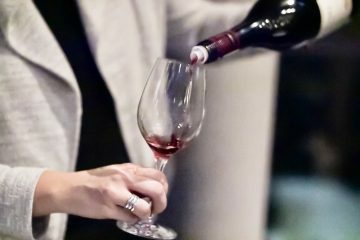 However, for the elevated dim sum dishes, there’s a price to pay – those dishes were $9 – $10 each and among the most expensive dim sum places in the city. The Hong Kong style Spicy Garlic Crab came out as an extravagant dish to impress visually. However, I found the taste a little underwhelming and in need of salt. It was a 90-dollar crab ($38/lb) and of course, I need to be a little picky about it.